In the language of hormone replacement therapy, stacking refers to the use of additional substances to either enhance the benefits of treatment or to mitigate any of the treatments unwanted associated effects. This is why our TRT (testosterone replacement therapy) doctors are well qualified to explain what to stack with testosterone therapy and why stacking is generally used to ensure that patients experience effective and trouble-free Low T treatment. Because hormones are both delicate and powerful biological substances that our bodies produce and rely on, the restoration of their loss through the use of their bio-identical equivalents requires medical exactitude and long-term thinking. These are practices that our TRT doctors consistently utilize in devising individual treatment programs for adults who have been medically verified to qualify for the use of prescription testosterone therapy. The use of a long-term viewpoint is valuable to both doctors and patients since male hormone replacement therapy is typically going to be used by patients indefinitely. It is the utilization of clinical exactitude, however, that ultimately determines the outcome of any TRT patient’s program of treatment. Examples of the need for exactitude can be found in virtually every aspect of a successfully prescribed and administered Low T therapy program, from the preliminary and periodic blood levels testing, to the ideal dosage instructions, and definitely includes the prescribing of what to stack with testosterone therapy – all performed on a patient by patient basis to accommodate individual medical requirements. In learning about male hormone therapy stacking, many adults discover for the first time that a concurrent and medically significant decline their growth hormone levels could be exacerbating their Low T symptoms; in fact, the simultaneous decline of both of these hormones occurs so often that TRT specialists often find themselves prescribing what is commonly known as an HGH (human growth hormone) testosterone stack. Another aspect of the value of testosterone therapy stacking is the prescribing of aromatase inhibitor medications for TRT patients in order to block unwanted estrogen production that therapy can trigger. At Nexel Medical, our doctors test, diagnose and recommend treatment for each of our patients individually, including the stacking recommendations that we believe will therapeutically benefit them the most. So while stacking in general is considered a medically appropriate adjunct to the safe and effective use of testosterone therapy, exact treatment recommendations should always be determined according to each patient’s personal requirements and therapeutic goals. Does what to stack with testosterone therapy change based on the type of pharmaceutical male hormone replacement that your doctor prescribes for you? It can, because an experienced and knowledgeable hormone replacement therapy specialist will evaluate all of your relevant personal factors when prescribing your program of TRT. However, there are certain guiding precepts that hormone therapy doctors routinely reference, such as knowing that the use of a medication such as testosterone cypionate, for example, is often enhanced by the accompanying use of a treatment like injectable HGH. Injectable testosterone cypionate is one of the most widely prescribed forms of TRT in the US because of the advantages it offers to patients. It requires the fewest injections because of its long-lasting biochemical properties; it is one of the most affordable forms of TRT, which is important to patients who will be paying for some or all of their treatment costs; and it has an established record of therapeutic effectiveness while showing a low risk for causing adverse side effects. Yet TRT doctors know its performance as a male hormone replacement can sometimes be optimized by stacking it with other anabolic steroids at strategic intervals throughout a patient’s cycle of therapy. So whenever hormone therapy doctors prescribe testosterone cypionate injections, proactive patients will ask about any additional stacking recommendations that they might have in mind for them. At Nexel Medical, our doctors make it a practice to proactively advise our patients about what to stack with testosterone therapy as a significant component of the comprehensive TRT programs that are being prescribed for them. We also make it our practice to explain to our patients why one form of treatment, such as injectable testosterone cypionate, has been recommended for them over the other available forms. We encourage any adult who wants to learn more about TRT to contact us at any time – we are always glad to answer all of your questions and to address all of your concerns. Maybe you didn’t realize how much you don’t know about certain aspects of testosterone replacement therapy, like stacking and the various forms of treatments that doctors prescribe, until you really decided to check into your Low T therapy options. At Nexel Medical, we are always available to help you fill the gaps in your TRT education. Can you picture yourself asking your primary care provider, who is probably a general practitioner, a question about Low T therapy such as what to stack with testosterone therapy? If you have a hard time picturing this, it is probably because you instinctively know that your regular doctor doesn’t have extensive experience in the medical treatment of adult-onset hormone disorders like testosterone deficiency. And the same would be true of the primary care providers that most adults in the US have. Furthermore, most of the PCPs who do occasionally prescribe treatment for patients with Low T symptoms will typically prescribe one of the topical gels or creams that are applied daily for their patients, often without even having testosterone blood levels testing performed on them. The results are predictably mixed at best. So then what is the best way for you to get tested for Low T and receive a prescription for using a truly effective treatment like injectable testosterone cypionate? In this case, an experienced and respected hormone replacement medical specialist is one of the best treatment choices you can make; but what if there aren’t any specialists like these in your local area? Welcome to the age of online-accessed medical care, where adults can be digitally and instantly connected to highly qualified specialists like Nexel Medical – and receive the specific medical treatment they require without leaving their local area for it. Our patients, representing adults from all 50 states, are able to have their Low T testing and examinations performed right in their local areas. Their results are then promptly transmitted to our TRT medical specialists for diagnosis and treatment recommendations. Once our patients receive their prescriptions for treatment, they are then able to order their medications online through our fully licensed virtual pharmacy. It is fair to assume that most PCPs are no more able to do this for their patients anymore than they can explain what to stack with testosterone therapy. 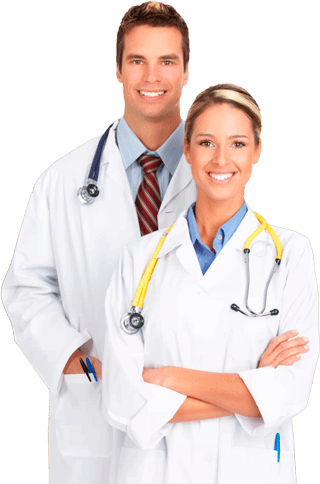 So if you want to go straight to the source of highly successful testosterone replacement therapy programs, all you have to do is go online to the Nexel Medical website and you’ll find all of our contact information. Please feel free to email or call us about anything that we can help you with in regard to using doctor prescribed TRT.